The field of food supplementation is growing and there are now more products available on the market than ever before. 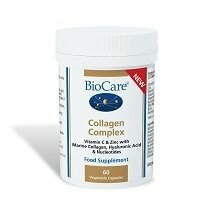 This makes it an overwhelming experience for women who are trying to find the right supplement to support their health or a certain condition that they may be suffering from. 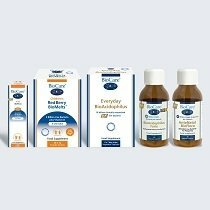 Optimum nutrition is desirable when trying to conceive and food supplements are useful where an additional intake of specific nutrients is required. 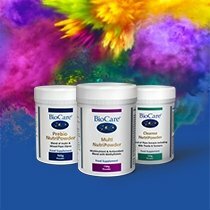 The BioCare® range of supplements for women was created with the needs of women going through different stages of life at its core. Our selection of women’s health products includes everything from multinutrients, pregnancy and fertility support to hormonal balance and intimate female health support. There are high demands on women who are working for longer, returning to work sooner after having children, and often taking the bulk of responsibility for home and childcare. This is at the very least nutritionally depleting if not a distinct strain on the nervous and endocrine systems, and it’s no surprise that women often have inadequate intakes of calcium, iron, folate, zinc, and Vitamins A and D.
This is where supplements for women from BioCare® can make a real difference, by helping ensure that every woman receives the daily dosage they need of important nutrients. Menopause for a woman is a time she is transitioning into a new phase of her life. This is a time for liberation, change and celebration. However, for many it can be a difficult transition that can be painfully drawn out due to a number of lifestyle and emotional factors. Nutritionally speaking, we can support that woman into the next phase of her life by supplying her with the nutrients her body needs to successfully make that transition. Pregnancy is a time when appetite is altered and nutritional needs change. Among women of childbearing age, inadequate intakes of calcium, iron, folate, zinc, and vitamins A and D are common, impacting on energy, hormone regulation, immunity, methylation, and connective tissue support. You can choose from a variety of women’s supplements available in highly absorbable, convenient to take formulas which range from capsules, sachets, powders to cream or liquid form. We also offer products suitable for vegans and vegetarians so everyone can find the supplements they need to take care of their bodies. Discover our entire range of supplements for women below.